The Shopify Theme store can appear daunting if you do not know what you’re looking at. There are many themes – free & paid. In many different categories – art, music, food, technology, etc. When you’re setting up your store – how do you know what to look for in these themes when picking one for your store? This means the theme controls things like your header, main menu dropdown navigations, hero banner slideshow width, footer pieces, along with how the product details are displayed. The Header: The Shopify theme controls whether or not the logo will be centered, left-aligned, right-aligned, etc. So when looking at themes it’s important to keep this in mind. If you have a preference on how your logo displays and the flexibility of each theme. Main Menu Dropdown: The theme will determine how the menu looks. The specific drop-down and menu items will change based on your personalized store – but pay attention to how many times the menu drops down, how the dropdown is laid out, the outlines, etc. Think of the theme as controlling the backbone structure of the Main Menu navigation on Shopify. Hero Banner Slideshow: Some Shopify themes offer the ability to be flexible with the width – but for the most part the width (not height) of the hero banner slideshow will be controlled with the theme. Some themes this slideshow banner is full width across your screen, and others it shows more framed with the store background along the right and left edges. This will be an important piece to pay attention to when selecting a theme. Footer: The pieces of the footer are important to look at. Some footers offer adding a name field to the newsletter – and some do not. 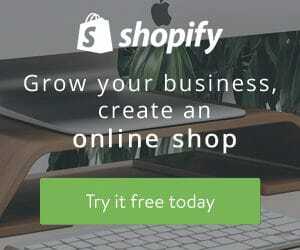 The Shopify themes will offer anywhere from 3-5 sections. So if you enjoy a “busier” footer, then you will want to find one with more information. Or if you want to have a cleaner look pay attention to how much information is in the footer. Product Details: The product page layout is a big one for Shopify themes. When you’re picking a Shopify theme for your store take a look at where the product images show on the page, what happens to the images when a variation is selected, and where the product description, price, and title show on the page. This will all be replaced with your products, but the information will be structured like the demo. It’s important to remember when picking a Shopify theme for your store to keep in mind that the colors, fonts, text, logo, etc will all be personalized and customizable for your store. 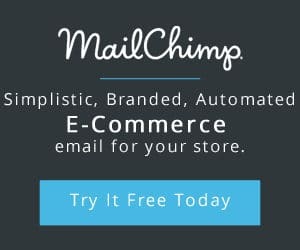 The Shopify theme acts as the skeleton of your store.